Colour, Chakra and Crystal Healing Course Bundle | Get Started Today! 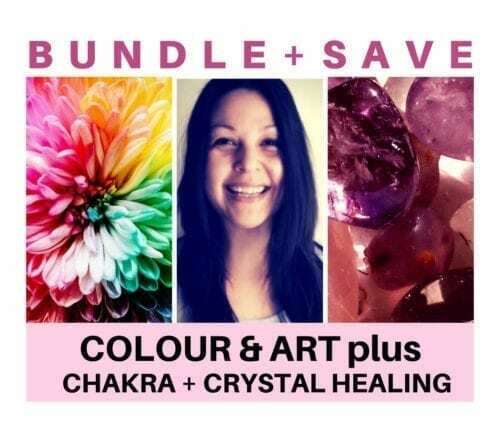 This Chakra Healing on Demand, Science of Crystal Healing, and Energy Healing with Colour & Art Course Bundle will teach you how to use the healing energy of chakra clearing, colour and crystals to improve yourself and others! Learn the basics of energy healing, Colour, Chakra and Crystal healing and how they work! Learn easily with a handbooks, workbooks, hours of video tutorials, and more for each course! Chakra Healing, Crystal Healing, and Colour & Art Certificates (PDF) upon completion! A custom Chakra Healing, Crystal Healing, and Colour & Art Certificate (PDF) for each course upon completion! Read my Crystal course reviews here! 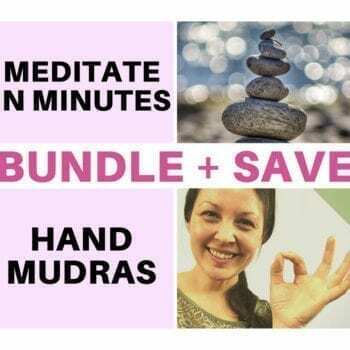 With this particular course bundle, you will start off with the Chakra Healing on Demand Course – where we’ll go through all the basics and essentials, as well as provide Chakra healing meditations! 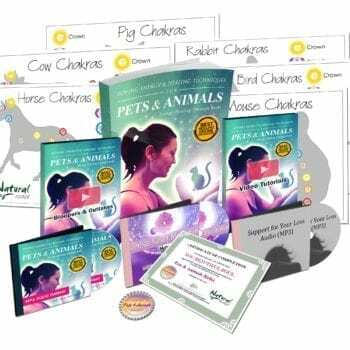 Watch the short video below to learn what to expect from my Chakra Healing on Demand course, then scroll down to learn more about this bundle’s inclusions! Watch the Chakra Healing course video! 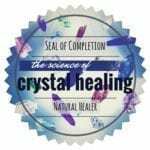 Once you’ve completed the Chakra Healing on Demand course, then it’s time for you to commence your journey into the world of healing stones with my Science of Crystal Healing Course! Watch the video below to get a glimpse into what awaits you next! 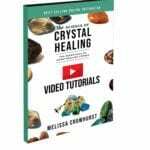 Watch the Crystal Healing course video! I would like to thank you for the opportunity to learn your Chakra Healing course, I have learnt so much information in healing with the 7 Chakras and will be using this for my Journey ahead. Love and Light. This is my second course which I truly enjoy. Melissa is an amazing teacher which I highly recommend to anyone who decide to enrolled. I found this was not only a course. It’s a fulfilling journey which I felt Melissa was with me all the way to the end with Her dedication, passion and her technique really made me feel at ease and got me on the right path. Thank u Melissa you are truly amazing bless u. Now that you’ve gone through all the lectures and practiced in the Science of Crystal Healing, it’s time to ‘top off’ your journey with my Energy Healing with Colour & Art Course! Watch the video below to get a glimpse into what’s included in the last leg of this bundle! 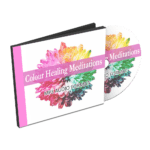 Watch the Colour Healing course video! Easy to understand basics of Chakra healing and how it works!! A 20-page “reference guide” style Chakra Healing on Demand – A Quick Course in Using Micro-Meditations to Heal Handbook (PDF), which includes explanations, charts and easy-to-follow Chakra sections. 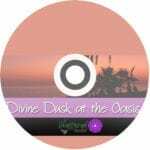 Seven (7) Chakra Micro-Meditations (MP3) that guide you to healing each specific Chakra. An All Chakras Meditation (MP3) for when you have a bit longer to heal, or for just ‘general’ maintenance of your energetic being! Human Chakra Poster (PDF) provided in both A4 and A3 sizes – and you can print them out, too! Lifetime access to the Student Platform which includes 12 video tutorials (over 30 minutes of video) with closed captioning available, and links to additional resources, to further enhance your learning. 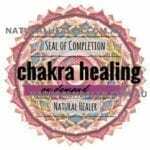 A beautiful Chakra Healing On Demand Certificate (PDF) to display in your home or office – and a Digital Seal of Completion (JPG) for your website or emails! Seven (7) Inspirational Chakra Posters (PDF and JPG) that you can use as screen savers, desktop backgrounds – or print out to remind you of your healing purpose! My glorious 7 Main Chakra Symbols Mandala Posters (PDF) for you to print out and colour in to assist in meditation and mindfulness! 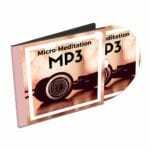 Each Meditation Audio’s Script (8 in total – PDF) to use if you want to record your own meditations – or if you want to read them aloud to your friends, family or clients! Easy to understand basics of energy healing and how crystal healing works!! 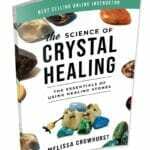 A 86-page The Science of Crystal Healing Handbook (PDF), which includes explanations, charts and easy-to-follow Chakra Stones (crystal) sections. Seven (7) Chakra Stone sections (which are the latter chapters in the coursebook) which are set up as a ‘reference-guide’ format so you can quickly and easily reference it to use crystals for healing a particular issue. Lifetime access to the Online Student Platform which has links to files, 10 video tutorials (over 40 minutes of video) with closed captioning available, and interactive quizzes to further enhance your learning! 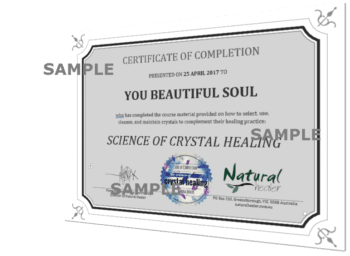 A beautiful Science of Crystal Healing Certificate (PDF) to display in your home or office – and a Digital Seal of Completion (JPG) for your website or emails! My Headache Relief Meditation (MP3) in an 8-minute long version, as well as an extended 41-minute long version (the 8-minute with an additional 33-minutes of relaxing music) to ensure you stay relaxed and balanced as you study. 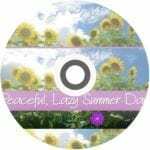 My Peaceful Lazy Summer Meditation Audio (MP3) with sounds of nature to further assist inner peace! Easy to understand basics of energy healing and it’s connection to colours! 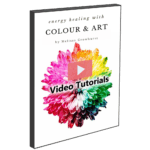 A 86-page Energy Healing with Colour & Art Handbook (PDF), which includes foundational information, explanations, and inspirational expression methods, and more! 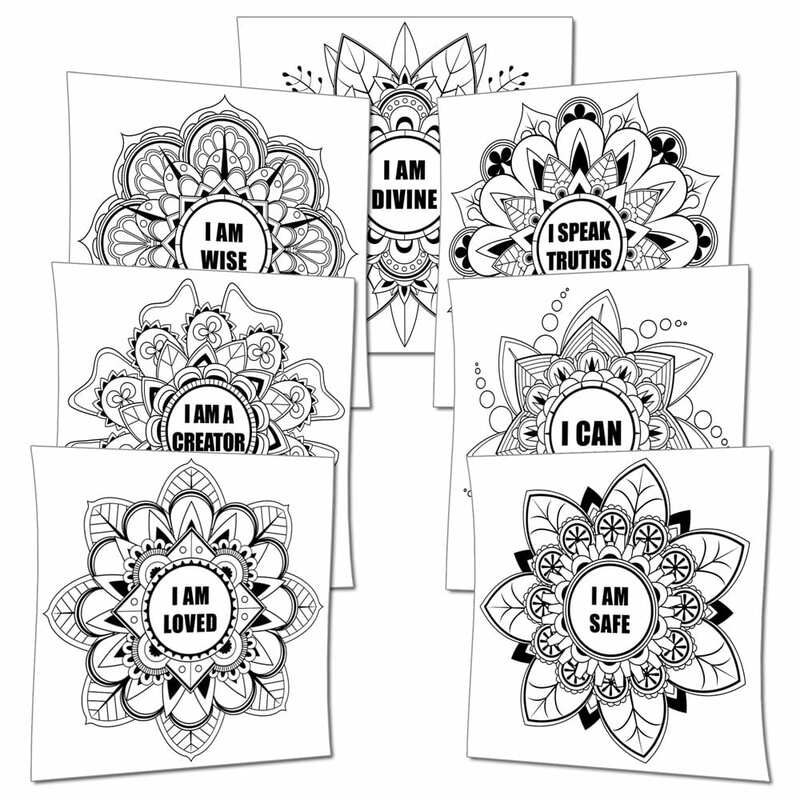 Melissa’s seven (7) Affirmation Mandalas (PDF) for you to print out and use to help you relax and express yourself! Lifetime access to the Online Student Platform – which has links to files, 14 video tutorials (about 60 minutes of video) with closed captioning available, and interactive quizzes to further enhance your learning. 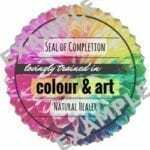 A beautiful Energy Healing with Colour & Art Certificate of Completion (PDF) to display in your home or office – and a Digital Seal of Completion (JPG) for your website or emails! 5 x Bonus Meditation Audios (MP3) including the Passive Steps, Active Steps, Hand Energy Exercise, Release Your Creativity Steps, and Revitalise Your Energy. You will log in to the Student Platform and start at the first lecture and work your way through the Chakra Healing on Demand Course – watching video lectures, downloading supplementary handbooks and material, and taking quizzes as prompted. Once you pass your Chakra Healing final exam you’ll receive your certification (PDF) via email! Now it’s time to go back into the Student Platform and start at the first lecture and work your way through the Science of Crystal Healing Course – watching video lectures, downloading supplementary handbooks and material, and taking quizzes as prompted. Once you pass your Crystal Healing final exam you’ll receive your certification (PDF) via email! Third time’s the charm now! It’s time to go back into the Student Platform and start at the first lecture and work your way through the Energy Healing with Colour & Art Course – watching video lectures, downloading supplementary handbooks and material, and taking quizzes as prompted. 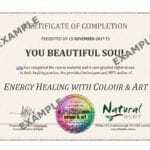 Once you pass your Colour Healing final exam you’ll receive your certification (PDF) via email! If you’re ready to start releasing that beauty within you – and improve your health and well-being in the process, simply click the add to cart button! And remember, I’m always here to help so if you any questions be sure to check out my FAQ and refund policy here; or contact me here anytime!